Hannes starts from P4 tomorrow in Assen! 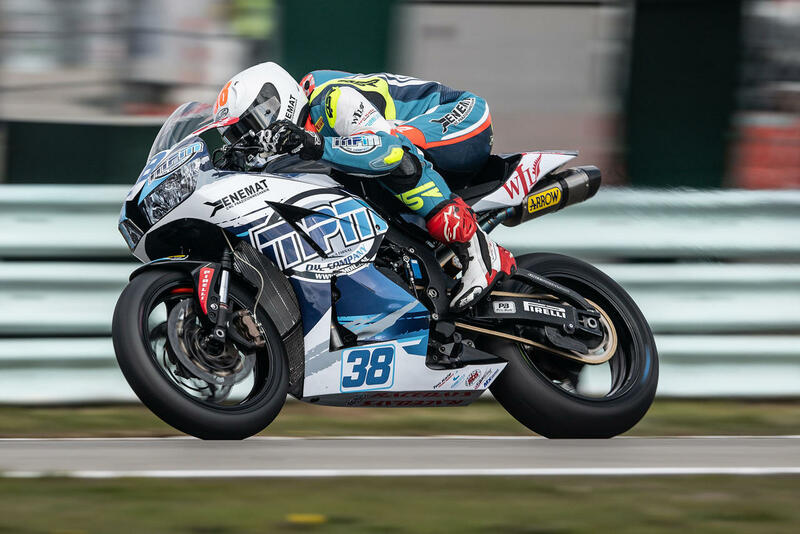 Hannes Soomer (MPM WILSport Racedays) finished the Superpole for the fourth WSSP round today in Assen on an astonishing P4. „The fast lap turned out really good,“ Soomer acknowledged. „It could always have been better but I really have a good starting position for tomorrow's race.“ 10 minutes before the end of Superpole Mahias had a technical problem at the fastest section of the track and spilled oil there which led to the crashes of Okubo, de Rosa and Perolari. The qualifying was red flagged and by the time it was re-started and Soomer was ready to go to the track with a fresh set of tyres it started to snow! „It is the first time in my life to qualify in a snowfall,“ said Soomer. „The ground is so cold that the snow doesn't even melt.“ The tyre choice tomorrow depends a lot on the weather but Soomer thinks that if the conditions are favourable he should be able to carry the race through with soft tyres.